Who works well with the Boss? There's no denying that one day WWE will be entirely dependent on Triple H's incredible vision, and the work he has done in creating the future through NXT. 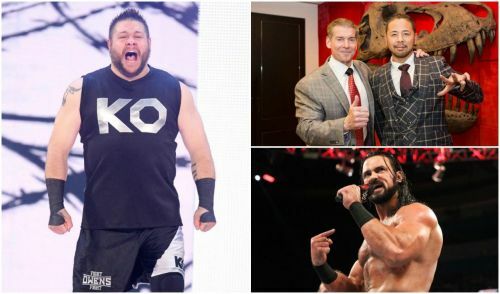 While many superstars have already made their transition to the main roster from NXT, a lot of them have failed miserably under Vince McMahon's wing. Superstars that embodied everything that made NXT an excellent show are struggling to find their footing on the main roster, with Vince McMahon continuing to push the Roman Reigns Experiment. Since superstars like Braun Strowman have been highly successful despite not competing in NXT, other talented competitors are finding it difficult to impress the Chairman and make a name for themselves. With Roman Reigns dominating Monday Night Raw every single week, is there any way Vince McMahon will push anyone else to his level? Does the Boss really trust the stars that have been recruited from NXT? Let's find out. Here are the 5 NXT superstars that Vince McMahon likes and 5 he might not give a good push. 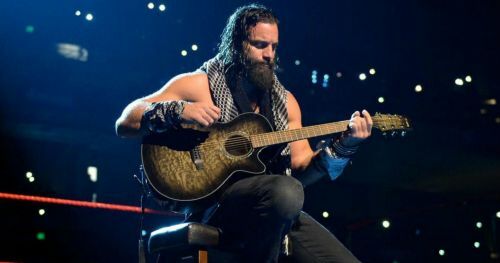 Ever since he stepped up to the main roster, a significant proportion of the WWE audience understood that Elias had everything in him to become a major star on Raw. While he has been pushed tremendously, the Drifter is yet to be involved in a major feud that could legitimately boost his career and ascend him to a different level. In case you didn't know, Vince McMahon sees a future world champion in Elias, and is considered to be one of his biggest fans. The Chairman is delighted with the magnetic presence of the former NXT sensation and appreciates the vicious heat he receives wherever he cuts a promo. Despite achieving less success under Triple H's wing, the Drifter was immediately brought up to the main roster and became a heel magnet. Significant altercations with John Cena, Finn Balor, Trish Stratus, and Seth Rollins have been remarkable. There were also plans of him having a monumental concert with the Rock at WrestleMania, and while the plans fell through, Mr. McMahon still continues to 'Walk with Elias'.